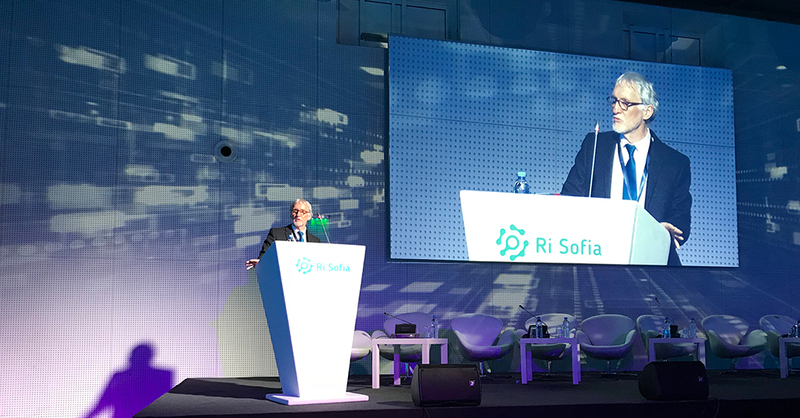 During his keynote speech at the Bulgarian Presidency Flagship Conference on Research Infrastructures in Sofia last week, EIROforum Chair and EMBL Director-General Iain Mattaj outlined how research infrastructures underpin basic research and bring value to society. By presenting several examples of how the EIROforum members engage in innovation processes, Mattaj concluded that the ability of Europe to handle society’s pressing challenges will require cutting-edge innovations, which can only arise from fundamental research. Read the EIROforum position paper on the next European Framework Programme (FP9) here.